Our clients purchased their 50's era seasonal camp, several years ago with visions of retirement in their sights. 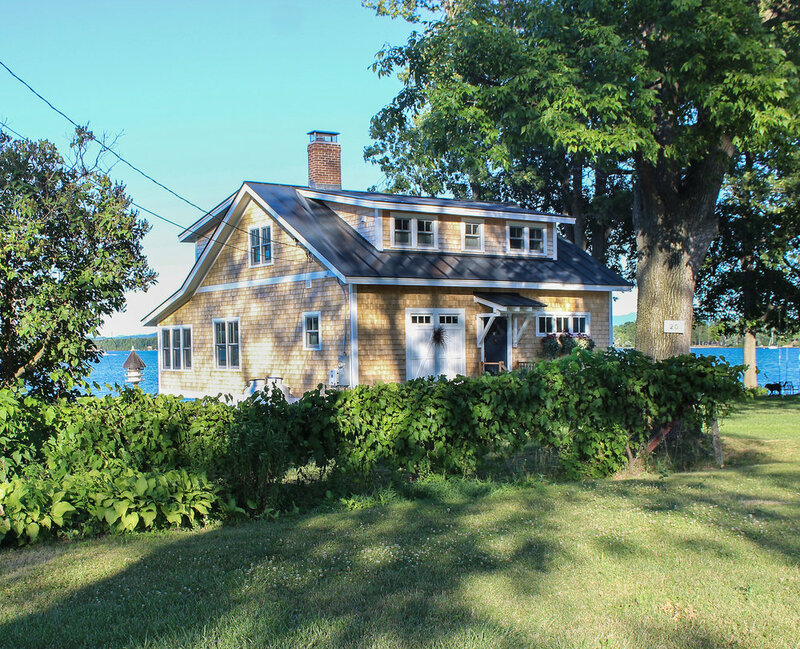 The goal of this project was to renovate the existing camp into a full-time retirement residence, where the owners could easily host and entertain their friends, children and grandchildren, lakeside, all year long. 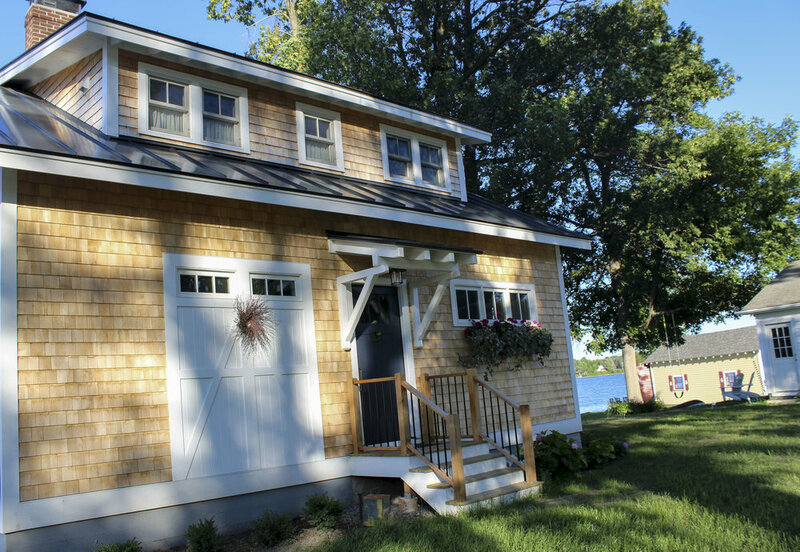 Our design solution included finishing the existing cold attic and adding shed dormers on both sides of the gabled roof, as well as, winterizing 3/4 of the existing porch. We reorganized the existing space and circulation creating open/active areas adjacent to lake and view- locating the private/quieter spaces on the opposite side of the house. Our final design includes a full kitchen, living room, bathroom and bedroom on the first floor. On the second, there is a more private den equal in size to the downstairs living room and suitable for guest sleeping; a master bedroom; and a full bath. 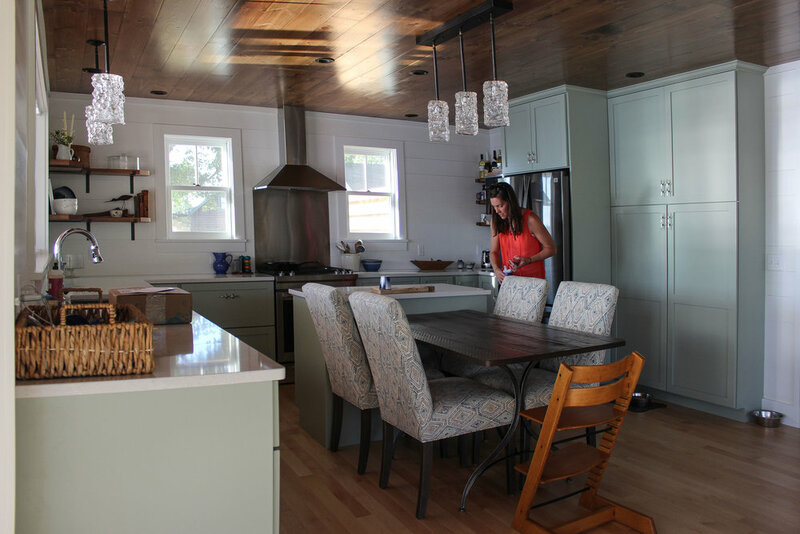 The design was completed this spring, and doubled the living space of the existing camp- it has been a family gathering place and weekend destination for friends all summer long.